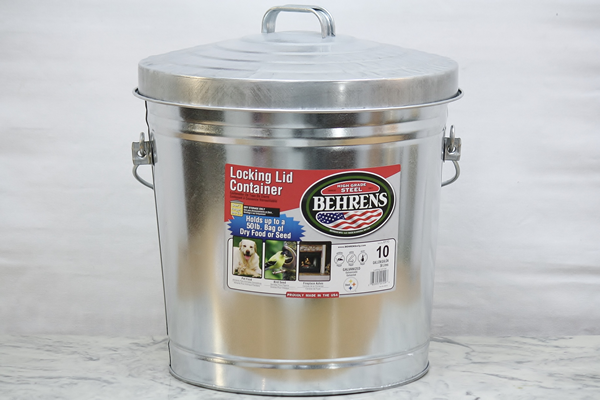 This pail features a secure locking lid that keeps even the largest of pests out of your grass seed, chicken feed, and anything else that you don't want the raccoons to get into. It's durable electro-galvanized steel construction prevents any sort of corrosion and rust, keeping your supplies safe from elemental damage for decades on end. We also offer 6 Gallon and 4 Gallon styles. I am an Assistant Scoutmaster and we take one of these on our camping trips to keep food waste in. It works great!